Get rid of those annoying squeeks and rubs with a good lubricant. Everyone and every RV has that little squeak here and there. Check out our special RV lubricant today to take care of those littles annoyances. Need Rv lubricants? Look no further. We carry all the RV lubricants you need to keep your trip rolling. 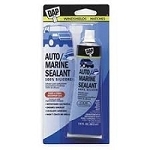 Now you can keep your things from squeaking with our line of RV lubricants brought to you from Camperpartsworld.com.